SJ Suryah might have gone through a long hiatus of not having releases, but he managed to pull the string of success through his movie 'Isai', which marked his comeback as a proficient filmmaker and actor. Now he has decided to be a part of some projects as an actor and meanwhile shape up his directorial proficiencies as well. 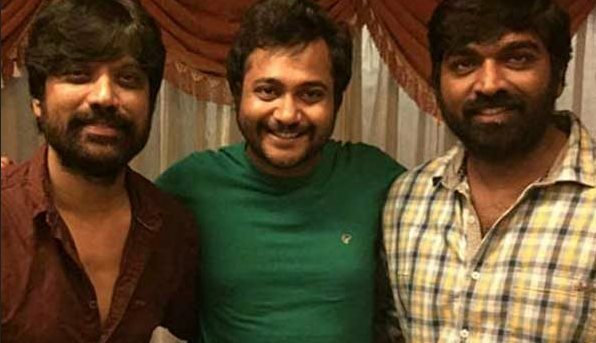 He has completed shooting for his upcoming film 'Iraivi', where he plays lead role alongside Vijay Sethupathi and Bobby Simha with Anjali and Kamalinee Mukherji performing prominent characters. It has been now revealed that SJ Suryah will be seen performing the role of a baddie. "Yes, it's true that SJ Surya is playing a negative character, but it has got nothing to do with stereotypical nature of what all the erstwhile baddies have been doing in the Tamil cinema for years. He won't be bashing up any men or give a villainous laughter as well," says Karthik Subbaraj, director of this film.